This StudioKing flash umbrella UBT83 is made of a white, translucent (diffuse) fabric. The flash umbrella can be used to reflect soft light. Besides that it has the possibility to flash through material to create a softbox effect. Compared to a softbox you will have slightly more loss of light. The StudioKing flash umbrellas are solidly constructed. StudioKing has a wide assortment flash umbrellas available in the following sizes: 100 cm and 120 cm. 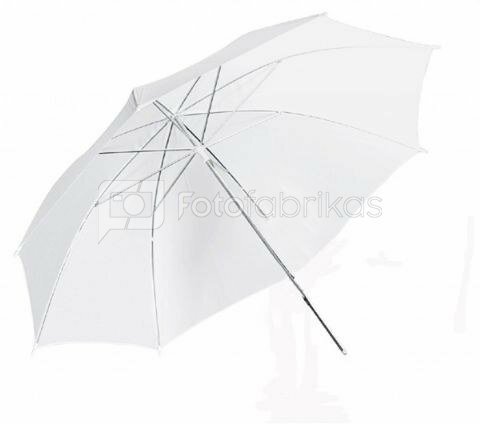 The tubes have a diameter of 8 mm, so the umbrellas can be used for most studio flashes and continuous lights.